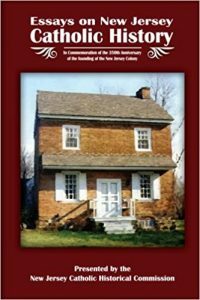 The New Jersey Catholic Historical Commission welcomes you to our Homepage and hope that you find our organization of interest. We are here to promote the value of religious history in the Garden State and beyond. As an introduction please feel free to use our online brochure as a starting point on your journey to the NJCHC. Thank you in advance for your interest . . . The Commission announces research stipend opportunities for interested individuals who are studying topics relevant to the field of New Jersey Catholic History. This award first established in 2011 is named in honor of the late Professor Joseph F. Mahoney (1928-2006), a noted scholar in American Catholicism and esteemed former Executive Director of the New Jersey Catholic Historical Commission will be bestowed on an individual planning to conduct research related to Catholicism in New Jersey. 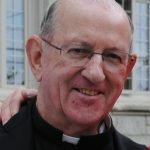 The original intent of this prize was to offer a single deserving recipient a research stipend every two years, but the prospect of supporting any serious researcher in the field of Catholic New Jersey history is a constant goal of the Commission. Therefore, this award will be offered on an open and rolling basis as project needs arise. Applications are to be judged on their own individual merit as they arrive before our committee for evaluation. Research projects that focus on any aspect(s) of New Jersey Catholic History which can include, but are not limited to an individual(s), institution(s), event(s), or other subject areas that cover the criteria set by the Commission will be considered for this award. Up to a maximum of $1,500.00 per individual. Applicants will be required to submit a cover letter, a letter describing their project, a budget, a curriculum vitae and at least one letter of reference. The judgment of the committee will be forthcoming within 30 days from the date when the application arrives unless otherwise noted. Questions and clarifications of the applicant might be needed prior to the arrival of a final decision.